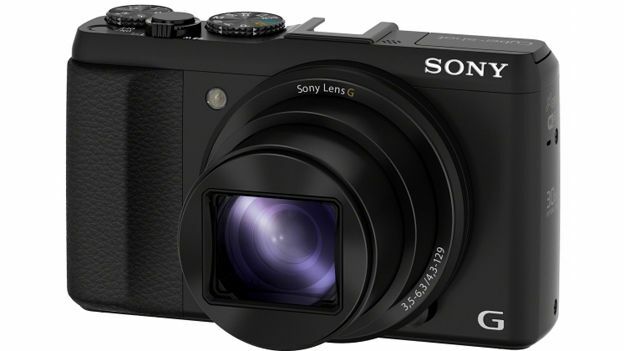 Sony has launched the world's smallest and lightest camera with a 30x zoom lens. The Cybershot HX-50 measures just 108x64x38mm and packs in a 20.4 megapixel Exmor R CMOS sensor. It's the same Bionz processor found in the HX300 super zoom camera. The HX-50 also benefits from a 24-720mm f/3.5-6.3 equivalent lens, and features an optical image stabiliser. As with many other cameras these days, the HX-50 comes with built in Wi-Fi allowing for wireless picture sharing. It also takes some inspiration from photo app Instagram, coming with nine built in filter effects. It has the ability to record 1080p/50 movie capture option that lets you record video, and a panorama option for taking extra wide photos. Despite its small size, it also comes with full manual control through the built-in controls and a hotshot for attachment of various peripherals. However, despite full manual control, the HX-50 can only shoot in JPEG (those looking for the ability output in RAW will have to look elsewhere). Sony reckons the battery should last for 400 shots. The camera will launch at the beginning of May. Sony said it will sell for around £350. Read our review of the Sony Cyber-Shot HX50.